Chris Watts, 33, was arrested Wednesday for allegedly killing his family. “I just want them back,” Chris Watts told ABC Denver affiliate KMGH-TV. His wife, Shanann, and daughters Celeste, 3 and Bella, 4 were reported missing Monday by a concerned family friend. Just days later, the case took a chilling turn, with Chris Watts taken into custody and booked on murder charges. Authorities have not commented on a possible motive in the case that has shocked the small town of Frederick. Here's some of what we know -- and still don't know -- about the case. 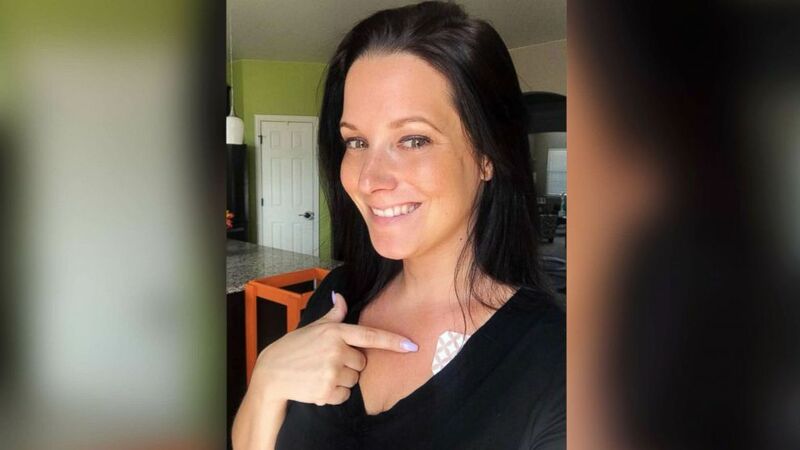 Chris Watts, 33, had initially told reporters that his wife, who was 15 weeks pregnant, disappeared without a trace, leaving her purse and keys at home. "When I came home and then walked in the house, nothing. Vanished. 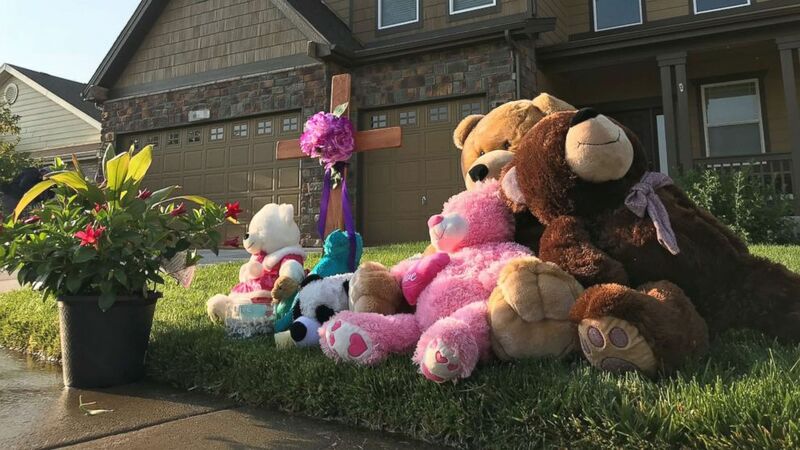 Nothing was here," Chris Watts told KMGH-TV Tuesday. "My kids are my life ... I mean, those smiles light up my life." After Shanann Watts, 34, and the girls were reported missing, family friends Nick and Amanda Thayer came to Chris Watts' side. The Thayers helped their friend think through ideas on how to find his missing wife and daughters. 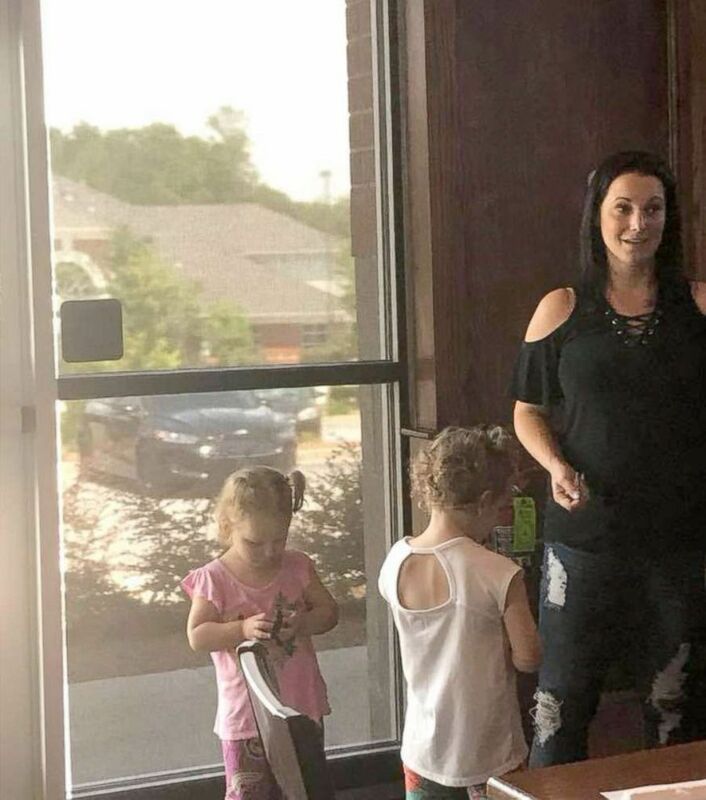 Chris Watts even spent Tuesday night at the Thayers' home. "We feel so stupid ... trusting him to stay the night in the same house as our daughter," Nick Thayer told ABC News on Thursday, overcome with emotion. "I'll never let that go." He said it didn't cross his and his wife's minds to ask Watts if he was involved. Watts was a "hands-on dad," Nick Thayer said. "And that's why we were there with him because all the times we were with him it was nothing but love" toward his family. "He fooled us. And I'm so sorry. We just thought we were doing the right thing by being a good friend," Nick Thayer said. "We were duped." "In the 48 to 72 hours we were with him ... he was his normal self," Amanda Thayer added. "He never once cried." "He and Shanann were always hugging, kissing and smiling. They were just a picture of 'in love,'" she said. Now, with the accusations that Watts killed his family, Amanda Thayer said: "I want to know why." "It doesn't make sense," her husband said. Officials on Friday positively identified the bodies as Shanann Watts, Bella and Celeste. The bodies were recovered near each other, officials said, while declining to say the location. Shanann Watts' body was found in a shallow grave near an oil tank, according to court documents filed in Weld County and obtained by ABC News. The property she was found on is where Chris Watts worked, according to Denver ABC affiliate KMGH. In another document, Chris Watts' defense team requests that their own DNA expert be present for the autopsy when DNA swabs are taken from the girls' necks. Their bodies had been submerged in oil for four days, the document states. 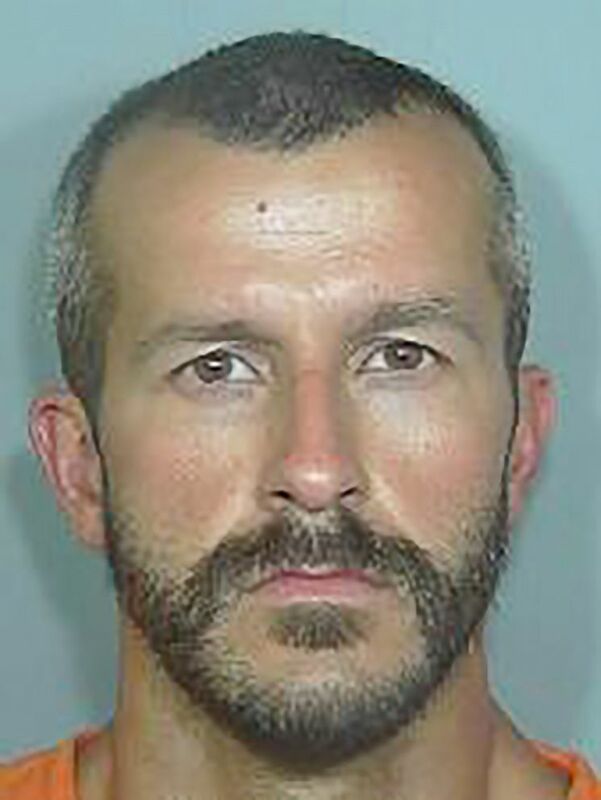 Forensic scientist Richard Eikelenboom -- a DNA expert hired by Chris Watts' defense team -- advised that even though the bodies had been in the tanks for several days, DNA would still be present, according to the court documents. The motion requests that the hands and nails of the mother should also be sampled, the document shows. "It does not seem clear that the coroner, pathologist, or anyone working on behalf of the prosecution team in autopsy plan to take swabs of the necks of the two decedent children," the document states. The autopsies were expected to take place Friday, according to the motion. The causes of death were not immediately clear, but a recommendation from Eikelenboom stated, "I have a lot of experience taking samples from dead bodies getting good results after strangulation. The hands of the children should be sampled as well." Prosecutors said in court Thursday they believe the victims were killed in the family’s home, KMGH-TV reported. Chris Watts has been booked on three counts each of first-degree murder and tampering with physical evidence. He has not yet been formally charged and is set to return to court on Tuesday. "The suspect is presumed innocent until otherwise proven guilty in the court of law," Weld County District Attorney Michael Rourke said at a news conference Thursday. Authorities have declined to comment on a potential motive. "Our role now is to do everything we can to determine exactly what occurred and assist in filing the thorough case," Colorado Bureau of Investigation director John Camper added on Thursday. The small community in Colorado gathered on Friday night for a vigil to honor the lives of Shanann, Celeste and Bella. Hundreds of people gathered in front of the family's home in Frederick, where a growing memorial fills the lawn. 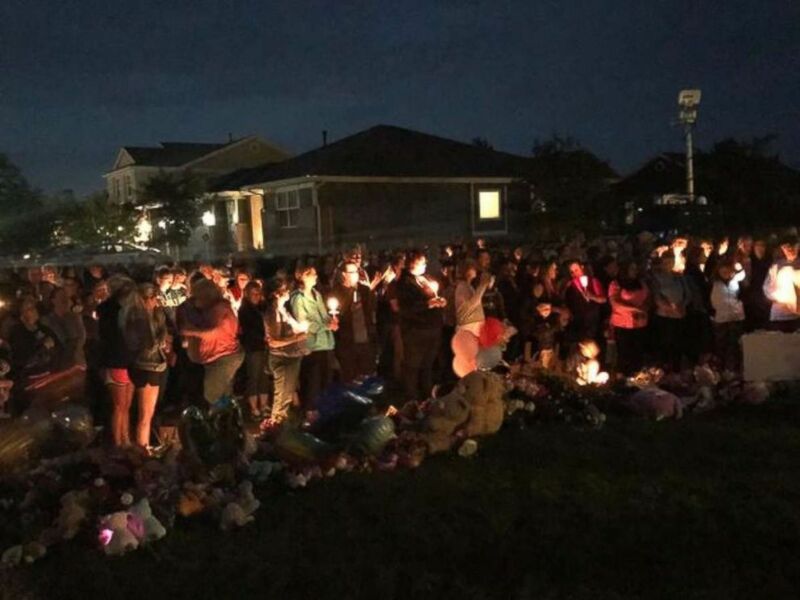 (KMGH) Hundreds attended a candlelight vigil for Shanann Watts and her two daughters on Friday night, Aug. 17, 2018. Family members of Shanann, who was from North Carolina, even joined the vigil via Facetime, KMGH reported.